Producer : Ramesh S. Taurani, Kumar S.
Toh Baat Pakki is a romantic Hindi movie.Sharman Joshi is looking very dashing in this film trailor and pictures. After golmaal returns and sorry bhai Toh Baat Pakki is going to be hit for Sharman Joshi. 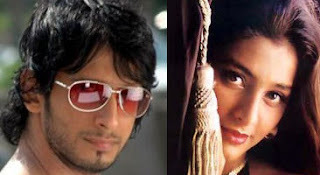 In the other star cast Tabu , Yuvika Chaudary is in Toh Baat Pakki. The movie is directed by Kedar Shinde and music is by Tips Music Films. The movie is to be released on August 21, 2009. Overall its mix drama with Comedy and romance. So go to theater and watch this. When toh baat pakki is coming ???? Movie pictures looking good and sharman is really looking superb !!! But i have no idea about the launching date for this movie. But i know that previously this movie date was 21 august. Nice star cast of this movie..